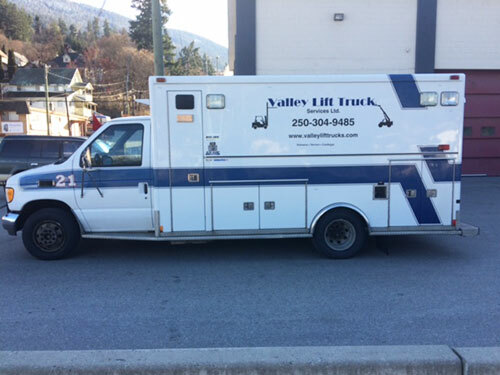 With 7 fully stocked service vehicles, and with technicians who have over 100 years of combined experience, VALLEY LIFT TRUCK is available to keep your equipment up and running both quickly and cost effectively. With 2 locations in the Okanagan Valley (Kelowna, and Vernon) and 1 in the Kootenays (Castlegar), we are never far away. We offer a very competitive labour rate and "No Surprise Invoices". Call us for a no-charge estimate on any services or repairs.